The use of mobile devices in business continues to rise as employees are expected to be productive at any time wherever they happen to be. This presents a particularly large challenge for businesses that are subject to compliance standards such as HIPPA as lost data can mean heavy duty fines and reputation killing exposure. So what is an organization to do in this situation? Here are a few best practices that if followed can help protect data accessed from mobile devices as well as show that you have made a good effort to protect the data if it is lost. Install a remote wiping application. As much as someone would hate to have their device wiped, wiping it is the surest way to protect the data that could have been access from there if it is lost. Keep your software updated. Software updates provide patches to potential security holes in applications. Once a patch is released, hackers immediately try to exploit the hole before everyone updates their devices. Don’t wait until it is too late. Install encryption. Any mobile device that accesses business information should be encrypted. By doing this, you reduce the chances that someone who does get their hands on the device can gain access to the data. Use strong passwords. This is not only true for your desktop devices but also for your mobile devices. Requiring complex passwords to unlock the device will make it more difficult for someone to access it if is lost. Educate employees. Make sure that your employees understand the responsibility that goes along with accessing your business data from a mobile device. 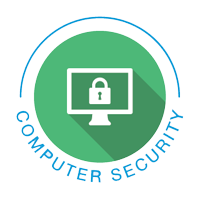 By keeping them vigilant, breaches can be prevented or quickly contained when they do happen. Using mobile devices in business is necessary today but it doesn’t have to end in a tragic loss of data. Following these best practices can help reduce the problems your organization could have if a mobile device is lost or breached. This entry was posted in *All Posts*, Employees, Information Technology, Management, Security. Bookmark the permalink. ← How does company culture play into defending and recovering from cyber attacks?